Dirt Pick-Up Resistance (DPUR) is crucial for architectural and industrial coatings. This issue is related to the reduction of available solvents to meet VOC requirements. 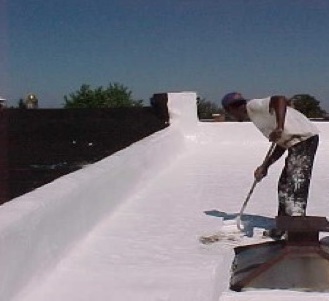 A special interest is in "Cool Roofs", designed for energy saving in energy efficient buildings. Dirt tends to easily foul cool roofs, where the primary cooling method is by reflection of sunlight. As a leading manufacturer of phosphates, phosphoric acid and specialties, ICL Performance Products is committed to innovative research spanning diverse applications. Advanced Additives, a business unit in ICL PP is currently expanding into two major markets: Paint and Coatings, and Asphalt. Thus our interest in finding a material based solution to the DPUR challenge. Our research and development laboratories in North America, South America, Europe, Asia and Australia are staffed with industry experts and state of the art analytical and application equipment. Utilizing R&D best practices we have developed many patented technologies, proprietary products/processes and new applications. We are dedicated to a culture of learning and keep abreast of market and research trends via customer partnerships, academic collaboration and industry trade association participation. The proposal would need to clearly describe the technical concept (chemical approach, structure if IP protected) and proof of concept results, if available. Information on ICL's current product line can be found in the ICL PP web page.